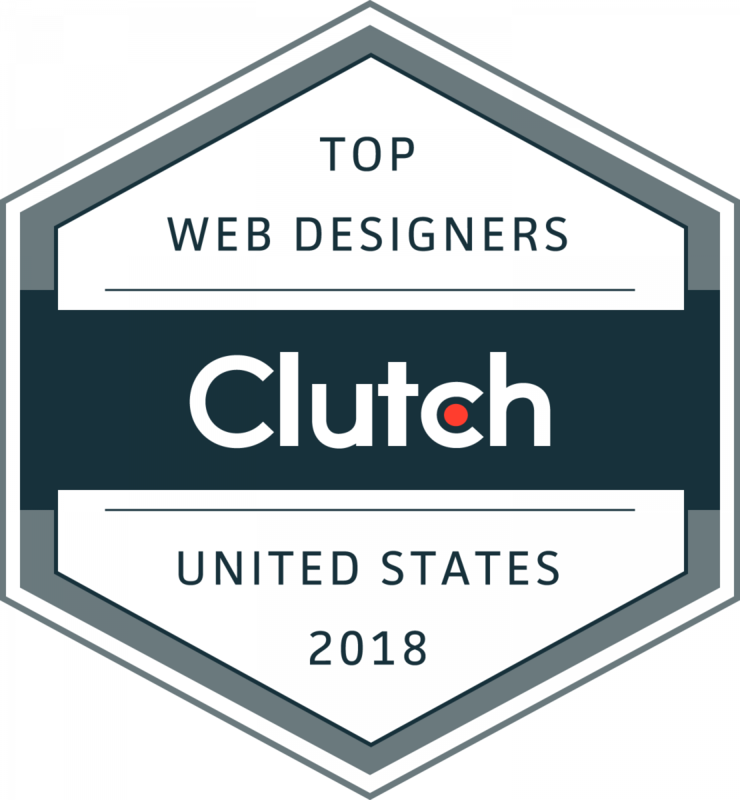 Top-performing web designers in the United States announced for 2018. Arizona - Avenue 25, Avintiv Media, Cloud LGS, eCreations, Epic Web Solutions, Fyresite, GSM Marketing Agency, Jen Chapman Creative, LRM RiverValley Marketing, Majestic Warrior, Markitors, MaxGroup Business Solutions, LLC, Miss Details Design, My Favorite Web Designs, Nuanced Media, Phoenix Online Media, Propelur, Pure Fusion Media, Pyxl, Resound, Signa Marketing, Skyhook Interactive, Strategies 360, Tension Design, and VisionSnap, Inc.
California: 500 Designs, 6D Global Technologies, 8th Light, Ad Victorem, Alaniz, Amasta Media, Amberd Design Studio, AMGADIZATION, AMP Agency, ANDESIGN, Apex Digital Media, Apexia Agency, Archetype, Arrow Root Media, Art+Logic, Artsy Geek, AshWebStudio, Astin Technology, Atoms & Pixels, Bartlett Brands, BASIC, BayCreative, Big Drop, Big Presence, BIGPIE | Digital Creative Agency, Black Antelope, Black Flag Creative, LLC, Bliss Drive, Blu Impact, BlueHubs Marketing Group, BLVR, Bold Marc, Bop Design, Brandastic.com, Branding Los Angeles, Brian's Web Design, Built, BusinessOnline, Camp Creative, Carr Graphics, CCG / Marketing Agency, CHRS Interactive, CIRCA, Clap Creative, Colibri Digital Marketing, Cowan Agency, Creative27, Creativedash, Crowd, CSTMR Digital Marketing, D.Workz Interactive, Dangerous Cat Productions, Datalink SEO, DDW, Deal Design, Inc., Definery, Definition 6, Design Proficient, Design Spinners, Devise Interactive, Digital Deployment, Digital, Promotion Agency, Digitawise, Doctor Multimedia, Dog and Rooster, Inc., Dreambox Creations, EIGHT25MEDIA, Encircl LLC, Endertech, Epsilon, Evo Strategies, Evviva Brands, Excela Creative, Extractable, Exygy, Fifty & Fifty, FINE, Fishermen Labs, Flair Designs, Flight, Flux.la, Fueled, FYC Labs, Gold Front, Good Stuff Partners, Gray Square Media Solutions, Greater Than One, GrowPlastic, Growth Drivers, Hashtag Systems Inc, Hathway, Herman-Scheer, Hero Digital, Hounder, Hub Strategy and Communication, Human Marketing, Hundredfold Studios, Hunter & Bard, Huntington Pacific Media, Hvantage Technologies Inc, HyperArts, IdeaWork Studios, Incitrio, INGIC, Intensify, Internet Solutions For Less, Ironbit, Isadora Agency, Jacob Tyler, Jingged, JMA, Inc, JUMBOshrimp, Just Digital Inc, Kalamuna, Kanopi Studios, King Tide, Klicker, KO Websites, Inc., Kobe Digital, Koombea, Kristan Ruona Marketing, KWALL, Kwok Design, L.A. Social Karma, LAD Solutions, LESS+MORE, LikeSocialBiz, LINK Creative, Lion Interactive, Lockedown Design & SEO, Los Angeles Web Design, Made By Wing, Marc Posch Design Group, Marcher Internet Marketing, Marker Seven, Marketing and Advertising Design Group (M.A.D. Group), MaxAudience, MediaSmack, Mentus, Mint Design Agency, MiresBall, Monster Code Corporation, Montana Banana, MOONBEAM STUDIOS, INC., Moonstone Interactive, Motava, MW2 Consulting, Namango Web Development, Navigation North, Nextware Technologies, Nika Digital Agency, Noble Intent Studio, Noble Studios, Noise 13, Olibro Design, ONE400, OrbitLift, Oui Will, Palmer Ad Agency, Parade - Out of Business, Philosophie Group, PINT, Inc., Pixel Jar, Planeteria, Plank, Post Modern Marketing, Proleadsoft, Propane, R&V Studios, R2integrated, Rail Digital, Raincross, Ramotion, Ranksharks, Razorfrog Web Design, Realize Internet Marketing, Red Cup Agency, Revolution Creatives, Rhythm Agency, Ripe Media, RNO1, Sachs Marketing Group, Salt Branding, Saypr, Searchlight Solutions, SEMbyotic, Sensis, Seo Gorillas, SEOP, Shanahan Strategy Inc., SiO Digital, Six Figure Design, Skyhound Internet, Smashdeck Marketing, Socialfix Media, Specto Design, Spectrum Group Online, SPINX Digital, Spokes Digital, Springbox, SPRITZ LLC, Stark Marketing, StarNet Solutions, State Creative, Storm Brain, STRV, Studio 22, Studio Umbrella Inc., Sunlight Media LLC, Sur-Ryl Marketing, Sure Exposure, Surfcode.io, The Ad Firm, The Bureau Of Small Projects, The Engine is Red, The Final Code, The Marcom Group, The X Concept, Theory SF, TheSpider, Think Strategy, Think Tank Designs, Third & Grove, Thirsty Agency, Thunderbolt Studios, Thunk, Timelapse, Tiny Frog Technologies, TLK Fusion, To The Moon, Toi, Traction, Tragic Media, Traina Design, TRIXMEDIA Inc, Twelve12, Ueno, UNIT partners LLC, UpTrending, Urban Insight, Use All Five, VentureDevs, Visceral, Voice & Reason, VOKENT creative digital agency, Vrrb Interactive, WadyBug LLC, Walker Sands Digital, Web Reputation Builders, Webbege, Inc., Weberous, WEBITMD, Websauce Studio, WebSight Design, Websites Depot inc, WebWorks Agency, Window To Recovery, Wire Media, Wpromote, XTOPOLY, Zbra Studios, and ZipBoss. Connecticut - ProntoLogic, Quartus Technology, Resonetrics, and SL Development. Colorado - 10 Pound Gorilla, 27th Letter Media, Aten Design Group, Bluetent, Buhv Designs, Campfire Digital, Cymax Media, Denver Website Designs, Denverdata Web, Drupal Connect, Elevated Third, FleetCreature, FlowState Marketing, Followbright, Folsom Creative, Inc., Fruition, Goldrock Creative, Horizontal Integration, Klicker, LyntonWeb, Magnetika, Max Effect Marketing, Monarch Digital, Mountaintop Web Design, Neon Rain Interactive, NEWMEDIA, Phases Design Studio, Relish Studio, SharpNET Solutions, Inc, SPROUT Content, Strategies 360, Tag Team Design, Team & Culture, Think Tree Studios, Unleaded Group, Val Dudka Design Company, Webolutions, Wonder Giant, Wpromote, and Xcite Media Group. Delaware - Inclind and Infinitee Designs. Florida - Absolute Mobile Solutions, Absolute Web Services, Afteractive, Ambition Insight, Big Couch Media Group, Big Sea, Bright Vessel, buildrrDIGITAL, Bullseye Marketing Consultants, bvk, Cat60 Designs LLC, Conectar Agency, Decographic, Designzillas, Digital Elevator, DigitalUs, DM Agency – Disartmedia, Easy Street Marketing, ElephantMark LLC, eSasson Studios | Web Design & SEO Agency Miami, Fairhead Creative, globeflash Internet, GoHooper Web Design, GreatCircle Studios, Haneke Design, Highforge, Incite Response Inc., Inertia Digital Marketing, Jeddio, JLB Florida, Jumbolicious Technologies (Justin Ladenthin), Koombea, Laughing Samurai, LLIZO MARKETING, Muno Creative, NetOne360, NoRiskSEO, Pacific54, PaperStreet Web Design, Parisleaf, Persimmon Creative, Planned Growth, PNC Solutions, Rank Executives, ROI Amplified.com, Savage Global Marketing, SEO Advantage, Seo Smooth, South Florida Web Studio, Sparxoo, SPROUT Content, Station Four, Stevie & Fern, TC Interactive, The Digital Agenda, The Skins Factory, To The Moon Media, Top Ten Website Marketing, Treefrog Cinegraphix, Trighton Interactive, Ulistic LP, Valtech (formerly Nonlinear Digital), Venerate Media Group, Vero Beach Marketing, Vizual Technologies, Inc., Vortex Communications, Webtivity Design Solutions, Wegacha, Wizard Internet Solutions, and Xplode Marketing. Georgia - 352 Inc., 7th Floor Studio, Aktiv Studios, AnythingPixel, Beardo, Black Airplane, Black Bear Design, Brain Bytes Creative, BrainJocks, Captivate Search Marketing, Classic City Consulting, Computer Solutions 911, Cool Blue Interactive, Creative Juice, LLC., Definition 6, Design-First, EYStudios, Full Media, Gauge, Hexalinks, id8, Interactive Search Marketing, M16 Marketing, Mighty, MOCK, the agency, Mr. Technique, Inc., Nicasio Design & Development, Octos Creative Communication, Partners Marketing Group, SangFroid Web, LLC, Sideways8 Interactive, SolutionBuilt, The Creative Momentum, The Taproom Agency, Trajectory Web Design, and Uproot. Hawaii - A.S. Designs & Services, Clever Wolf Digital, SaveOnDev, Strategies 360, and Webmaster Services Hawaii. Idaho - Strategies 360 and Ventive. Illinois - 8th Light, 97 Switch, a5 Branding & Digital, Acme Dream Company, Andromeda Technology Solutions, Angle180, Arcalea, ArtVersion, Bandwidth Marketing Group, BatesMeron Sweet Design, Breakthrough Technologies, Bright Bright Great, BuildThis, bvk, C2 Creative, Cascade Communications; PR & Digital Marketing Agency, Charu Interactive, Inc., Chromatic, click5 Interactive, Comrade Web Agency, Concentric Design, cre8, Design Womb, Doejo, Duo Consulting, EDUCO, ePageCity, Fresh Design Studio, Fuzzy Math, G2 Marketing Inc., Geeks Chicago, Greygoo, Helio Interactive, Hustlemore, Ice Nine Online, Idea Marketing Group, Inc., Imaginary Landscape, Indigo Image, Innovaxis Marketing, Intechnic, iSimplifyMe, JB Chicago, JJR Marketing Inc., KeyLimeTie, Koombea, LaunchPad Lab, LLT Group, Lunar Media, Lyft SEO, Mabbly, Macon Raine, Mightybytes, Millennial Web Development, Motivo Media, Nelson Cash, Nipa Pro, Olive Street Design, Operation Technology, Orbit Media Studios, Origin, LLC, Palantir.net, Pivofy, PUREi, RSQ, Rule29, Sandra Rust | BDD, SearchLab, SEO Solutions, Simple Machines Marketing, Simple Truth, SmarkLabs, Solid Digital, LLC, Stevens & Tate Marketing, Straight North, Sun Dew Solutions Pvt. Ltd., Symbiont Group, The Ocean Agency, The Weinstein Organization Inc., Third Coast Creative | 3CC, Torque Digital, UnitOneNine, UXM Studio, V2M2 Group, Inc., Verve Marketing Group, VisionFriendly.com, VisualFizz, Vokal, Walker Sands Digital, Wojo Design, Wpromote, Xeno Media, Xumulus, Youtech & Associates, and Zadro Web. Indiana - Blue Group Solutions, Cellaflora, Christopher August, Element212, TBH Creative, and The Web Guys. Iowa - Amplimark, Hill Productions & Media Group, Inc., SparkReaction, and Victory Enterprises. Kansas - 7strategy, Lee Media Group, and SONDER COLLABORATIVE. Kentucky - Element 502 and FUSIONWRX. Louisiana - BlinkJar Media, Bizzuka, Inc., Cerberus Agency, Linking Arts, LookFar, Rep Cap, ThreeSixtyEight, Wink Media, and Zehnder Communications. Maine - FUSEIDEAS and Rugged Coastal. Maryland - Ability SEO, Accella, Adventure Web Interactive, Bates Creative, Blue Water, Centretek, Cohere, Computer Services Unlimited, Exit10, Fastspot, Interactive Strategies, Modern Signal, New North, ONeil Interactive, R2integrated, Sutter Group, The Berndt Group, Unleashed Technologies, Wood Street, Inc., and Xtreme Websites. Massachusetts - 3 Media Web, ADK Group, Alipes Inc., AMP Agency, Anon Consulting, Blue Green, Boston SEO Company, Boston Web Group, BusinessOnline, Clockwork, Design Group, Inc, Create + Conquer, Dark Roast Media, Davis Advertising, Epsilon, Exsel Advertising, Fresh Tilled Soil, FUSEIDEAS, GoingClear Interactive, Gravity Switch, Image Conscious Studios, Imarc, inSegment, Isovera, Jinn, Inc., KHJ Brand Activation, Ladybugz Interactive Agency, Livnup, Make Directory Developers, Marquis, Millennium Agency, MTC Labs, PearTree Design, LLC, Quintegro, RainCastle Communications, Inc., Rugged Coastal, Seahawk Media Group, SERPCOM LLC, SiteRocket Labs, Stark / Raving Branding + Digital Marketing, Third & Grove, Trellis, TribalVision, Vermonster, VirtusaPolaris, Wakefly, Inc., Web Design Boston, Webstudio Boston, WellKnown Agency, and WhatArmy. Michigan - Basso Design Group, Blue Winds Media, BMG Media Co., Cam Myers Marketing, Inc., CI Web Design Inc., collideascope, Commercial Progression, FINE, High Level Marketing, JSL Marketing & Web Design, Kaleidico Digital Marketing, Momentum, Ralph Walker Designs, Teal Media, TGAE Group, LLC., THINKLIONS, and Traffic Digital Agency. Minnesota - 3plains, 8bitstudio, Ackmann & Dickenson, BrandHoot, Creed Interactive, Firebrand, Horizontal Integration, Ideas that Kick, Leighton Interactive, Modern Tribe, Nativ3, Navigation North, Origin Eight, Software for Good, Speak!, Westwerk, and Windmill Design. Missouri - Adxotic Internet Marketing Service, Afflecto Media Marketing, AGENCY H (Formerly BIGSHOT Inbound), Crema, Engage Software, Enliven, Matchbox Design Group, Mobomo, Ontarget, Roundedcube, Seafoam Media, Spry Digital, and Victory Enterprises. Nebraska - Control Yours, Evol Empire Creative, Identity Marketing Group, Little Guy Design, and ShineForth. Nevada - 1 Source Media Group, BRAINTRUST, Coding Staff, Doctor Multimedia, GrowPlastic, IdeaWork Studio, Innvio, Noble Studios, On The Maps, Post Modern Marketing, and Strategies 360. New Hampshire - Aha Consulting, Millennium Agency, and SEOptiks. New Jersey - 2 Dogs Media, Amplify Industrial Marketing & Guidance, Bitbean.com, Blueliner, C2 Development Group, Callahan & Toolen Digital Services, Cantilever, Crea Sixteen, Digitalux, HubSpire, INCORE Digital Agency, INGIC, Jungle Communications, Inc., Lform Design, Liqui-Site, Media Climb, nextbracket, Perfecent, PRI, Search Marketing Group, SEMGeeks, SmartSites, Socialfix Media, Stellar Webdev, Sunflower Lab, The Byne Group, Venerate Media Group, and WebiMax. New Mexico - Strategies 360. New York - 2 Dogs Media, 3rd Edge, Active Web Group, adCookie, Agilityio, Alley Interactive, Amplify Industrial Marketing & Guidance, Ascender Studios, ATTCK, LLC., Avex Designs, Big Drop, Bionic Egg, Blenderbox, Blue Fountain Media, Blue Water, Bop Design, BOWEN, Buzzworthy Studio, C42D, Callahan & Toolen Digital Services, Cantilever, CemtrexLabs, Chatter Buzz, Constructive, Crowd, Dark Roast Media, DBrown Studio, Definition 6, Digitalux, Dotlogics, EIC Agency, G2 Marketing Inc. Greater Than One, GrowPlastic, Hero Digital, HTML Pro, Hudson Fusion, HUEMOR, HyQuality, IdeaWork Studios, Inovat, Jungle Communications, Inc., Just Digital Inc, KOUNTERATTACK, Laura Duffy Design, Lounge Lizard, Major Tom, MAXBURST, Media Climb, Mimvi SEO, Mission Disrupt, MOBIKASA, Modus, Motto, Onit Digital, Inc., Orion Concepts, PRI, QNY Creative, Radish Lab, Reklam5 Digital Agency, Ruckus, RustyBrick, Saypr, Search Marketing Group, Slidesigma, SmartNet Solutions, SmartSites, Solo Media Group, Sprinterra, Staple Web, StatenWeb, Studio Sanderson, Studio Simpatico, SWARM, Tell Me Your Goal, Tesori Digital Marketing, The Forest Studio, The Mechanism, Top Notch Dezigns, Transfuture,True Interaction, Ueno, Unified Infotech Inc, ustwo studio, Vector Media Group, VirtusaPolaris, York & Chapel, and Your Majesty. North Carolina - Black Bear Design, Bluespark, BlueTone Media Web Design, BLVD Marketing, Bull & Beard, CAKE Websites & More, Chariot Creative, Cibirix, CMS Website Services, LLC, Dreamten, Elevated Third, Flynaut LLC, Fountain City, Inc., G2 Marketing Inc., GoBeyond SEO, iCiDIGITAL, Interactive Strategies, KIT, Knowmad Digital Marketing, Kudzu Brands, Pathos Ethos, Peaktwo, Raleigh SEO Company, Scarlett's Web, Inc., Straight North, TheeDesign, wEquipuSEO, and ZeroZen Design. Ohio - 216digital, Bash Foo, Bright Speed Media, LLC, Dallas Riffle Media, DigitalHipster Inc., Insivia, Kuno Creative, Lead to Conversion, Linear Creative, LyntonWeb, Ologie, OuterBox, Segue Technologies, Sparkbox, Stream 9, Sunflower Lab, and The Story Web Design & Marketing. Oklahoma - BigWing, Bridges Strategies, Custom Software Lab, Direct Allied Agency, and GenM Creative. Oregon - 6D Global Technologies, Arck Interactive, ArtVersion, Camp Creative, Cardwell Creative, Copious, Eclipse + DDG, EMERGE, FINE, Forix, Haatzama Marketing, ILLUSIO, Intuitive Digital, Iris Creative Co., JVM Design, KindTyme, Monumental, Murmur Creative, Nelson Cash, Northwest Media Collective Inc., Pixel Productions Inc., Solid Digital, LLC, Speak!, Square 2 Marketing, Stellaractive, Strategies 360, and Vadimages. Pennsylvania - 1SEO IT & Digital Marketing, Arc Intermedia, Blue Archer, Boomtown Internet Group, Brolik, Citro Digital, Cohere, Conklin Media, DesignMantic, Direct Line, Development, Durkan Group, Fynydd, halfGenius, Hero Digital, Higher Images, HUEMOR, Inovat, Internet Inspirations, Inverse Paradox, Iperdesign, Inc., LyntonWeb, Make It All Work, MediaSmack, Morroni Technologies, Navitas Marketing, Neff Associates, Night Kitchen Interactive, Pedrera, Phalanx Digital Inc., ProFromGo Internet Marketing, Push10, Roja Interactive, Roket, Sagefrog Marketing Group, SEO Locale, LLC, Silverback Strategies, Silverwood Studios, Soap Effect Studios, Sparkbox, Specific Pixel, Square 2 Marketing, The 215 Guys, The Tactile Group, Think Company, Think it First, Tonic Design Co., VujaDay Creative Digital Agency, WebDevStudios, WebiMax, WebTek, weCreate Website Design & Marketing, and Xhilarate. Rhode Island - Drupal Connect, Lullabot, Oomph, Inc., and TribalVision. South Carolina - Coastal Media Brand, Complete Web, Designli, EnVeritas Group, Fount, SPINX Digital, and Waypost Marketing. Tennessee - Archer Malmo, Astute Communications, Barker & Christol, BubbleUp, Full Media, GoHooper Web Design, Hill Productions & Media Group, Inc., Knoxweb, Local, Search Masters, MedForward, Papercut Interactive, Proof Branding, Pyxl, Very, LLC, and Zehnder Communications. Texas - Adcoast, Adhere Creative, Adit, Adnorml, Advantix Digital, Agency Entourage, Alex Wright Web Design and SEO, All Day Web Design & Hosting, Archer Malmo, Austin Web and Design, Austin Web Design & SEO, Bear & Giraffe, Belo + Company, Big Hit Creative Group, Blue Sky Marketing, BrandExtract, BubbleUp, Buzzbomb Creative, CabForward℠, Cleverly Engaged Marketing, Click4Corp, Contract Cre8ive, CSTMR Digital Marketing, Digital Success, digiTech, DJZ Legendary Creative LLC, Drupal Connect, Enilon, Envision Creative Group, Epsilon, eWebResults, Fahrenheit Marketing, Foundry512, Four Kitchens, GLIDE, Handsome, Hero Digital, HMG Creative, Horizontal Integration, Hot Dog Marketing, Informatics Commerce Inc, Iscan 360, JMA, Inc, js-interactive, JSL Marketing & Web Design, Left Hand Design, Living Proof Creative, Lucid Crew Web Design, LyntonWeb, Magic Logix, Magnetika, MediaSmack, Metia, Inc., Mighty Citizen, mixtape marketing, MPC Studios, Odd Duck Media, Optimum, Pixel Me Pink Web Design, Red Spot Design, Road Warrior Creative, RUNNER Agency, Satori Marketing, SearchRPM, Shelton Interactive, Shimshock Group, Springbox, Squareball Studios, Studio Brand Collective, TECHsan Media LLC, The Old State, The Swizzle Collective, Tsunamiclick, TXCAPstudio, Valtech (formerly Nonlinear Digital), Versa Creative, Visual App, Viva + Impulse Creative Co., WEBii, WEBITMD, Williams Web Solutions, Wpromote, and Zellmer McConnell Advertising. Utah - Be Locally SEO, Boostability, Connect 4 Web Design, Fluid Advertising, Foxtail Marketing, modern8, niftic agency, Oozle Media, Performance Driven Marketing, SEO Werkz, Spigot Design, Strategies 360, and ThoughtLab. Virginia - AvigoSystems, Big Oak Studios, BlueTreeDigital, Boldr Strategic Consulting, Borenstein Group, Inc., Cartisien Interactive, Clarke, Inc., Cogo Interactive, Creative2, Direction, Inc., Elevated Web Design, Enable, Fiat Insight, Fifth Tribe, Forum One, Foster Web Marketing, Grafik Marketing Communications, Imagine, iTec Web Solutions, Knucklepuck, LightMix, Marker Seven, Materiell, MAVENTRI, Mobomo, NJI Media, Plethora Design, Segue Technologies, Shrewd Marketing, LLC., Silverback Strategies, SLEIGHT-OF-HAND STUDIOS, TDMK Digital, WDG - Web Development Group, Whittington Consulting, and Yes& Marketing Agency. Washington - Aeolidia, AMP Agency, Artsy Geek, Bilberrry, Bizango, Black Antelope, Bonsai Media Group, CASoft Seattle, Celebrate Drupal, Conflare, Cyfuture, Digitegy, efelle creative, Efinitytech, Elevated Third, ESPRESSO Digital, Fingerprint Marketing, Flower Press Creative Studio, LLC, Forum One, Fuse IQ, Inc., GB Pro, Geeky Devils Web Solutions, Hansen Belyea, Heinz Marketing, Helpful Human, Hero Creative, Hero Digital, iLocal, Inc., InsideOut Solutions Inc., Jordan Crown, Maintaingo, Mammoth Factory, Metia, Inc., Montana Banana, Northwest Media Collective Inc., R2integrated, RNO1, Rocketship, Sayenko Design, Seattle Advertising, Inc, Smashing Ideas, States of Matter, Steelsmith Haus, LLC, Strategies 360, SWECKER, VisionSnap, Inc., Visualwebz, LLC, and Y-Designs, Inc.
Wisconsin - bvk, Candeo Creative, Concept Envy, Egochi, js-interactive, Layer One Media, Leighton Interactive, Madison Marketing Group, Victory Enterprises, and Weidert Group. It’s free to get listed on Clutch, but only the most highly recommended companies are named as leaders in Clutch’s annual reports. These web designers have gone above and beyond to prove their industry expertise and ability to deliver.